If you have travelled around the world and venture to seven seas (just kidding), you might have been familiar with the concept of diving. There are many things to love from diving. The almost surreal underwater world, the bright and weird-shaped corals, and the amazing marine life. In pristine water like Flores, Komodo, where the water is tightly protected and the underwater landscapes are beyond stunning, every dives gives this lingering feeling that makes you want to go for more and more dives. And as a matter of fact, diving is actually one of the most favourite activities in Komodo after dragon hunting and savannah trekking. But here lies the main problem of diving trip Komodo—if you did it in the conventional way. As much as diving is fun and fulfilling, it takes a lot of preparation to get into the underwater. Divers need to constantly set up and break down their dive suits, rinse and store dive gears, and hop into a boat to get into and from the dive set. But when you repeat every single process in places like Flores where dive sites are plenty and equally amazing, things can start to be quite tiring. Especially when you have the conventional land-based dive centre to store all the gears and start each dives from the nearest shores. That’s why we need Komodo diving liveaboard, where diving and sailing trip is combined in one package. When everything you want to do in Komodo is just to enjoy one dive after another, you will practically spend most of your time by the sea. And that’s exactly what a diving liveaboard is. It lets you to have a floating home in the sea; a home where you can sleep, eat, and store all your dive gears in one place. 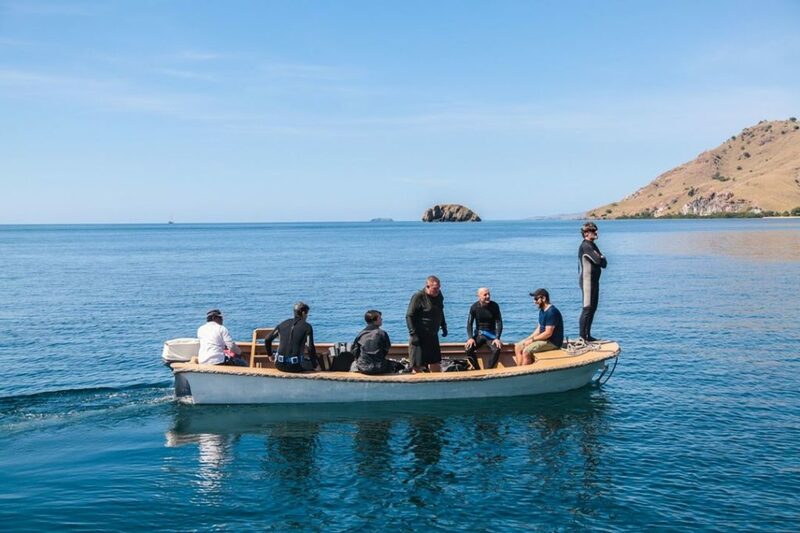 A hotel-like boat which will let you explore Komodo’s most remote dive sites, chill in the emptiest beaches, get totally secluded from the crowds, plus get totally disconnected from the busy world. Diving liveaboard usually specialise themselves on diving rather than a usual sailing trip—which means you are having a high chance to be equipped with the best supporting gears onboard. Some of the best Komodo diving liveaboard are built with high sensitivity to diver’s needs, such as special wet room for changing suits, individual rinse tanks, camera rooms, aluminium tanks and other gears, and plenty of spaces for gear preps. Now let’s see if you can still remember your previous life back in the land after this awesome liveaboard diving trip!